I just took a photo of the things I bought at the supermarket. 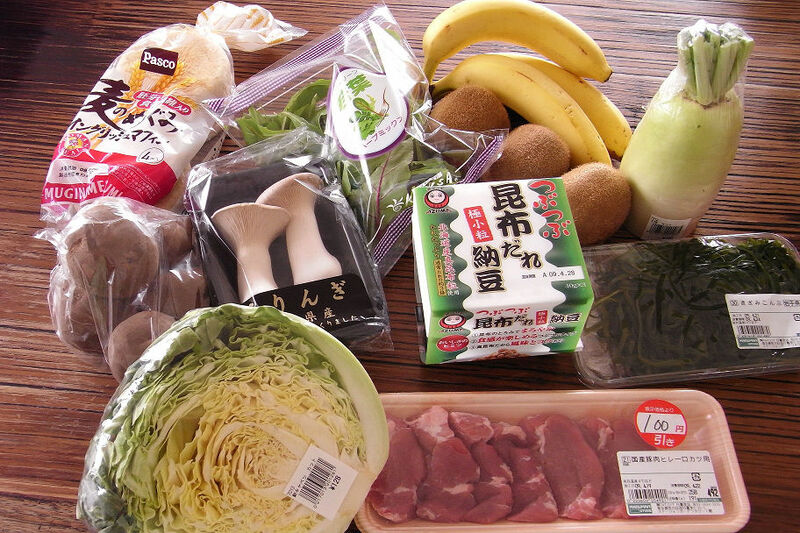 potatos, eringi mushrooms, three packs of natto, a pack of seaweed, 1/2cabbage, and some pork. I know some are familiar and some are not familiar to people outside Japan.